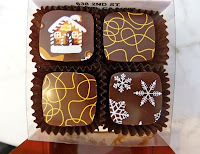 I'm often asked: "After 7 years, where do I find new chocolates to try?" My answer is: Everywhere! 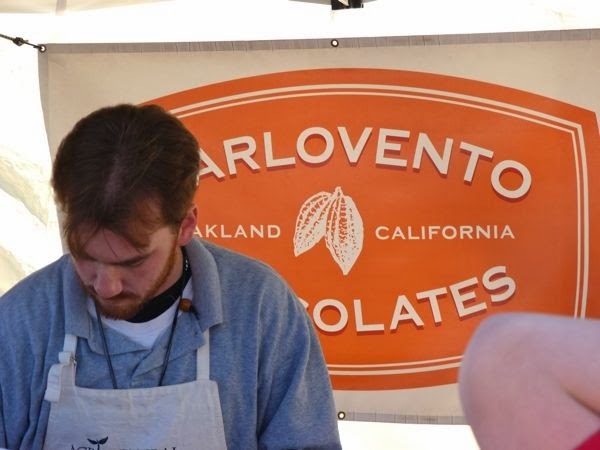 After 7 years, I'm still finding new chocolatiers where I live, in the San Francisco Bay Area, to say nothing of the rest of the world. 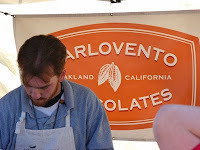 Today I drove up to the Marin Civic Center Farmers Market (north of San Francisco, CA) to buy a few Meyer Lemon Zest truffles from Barlovento Chocolates (Oakland, CA). 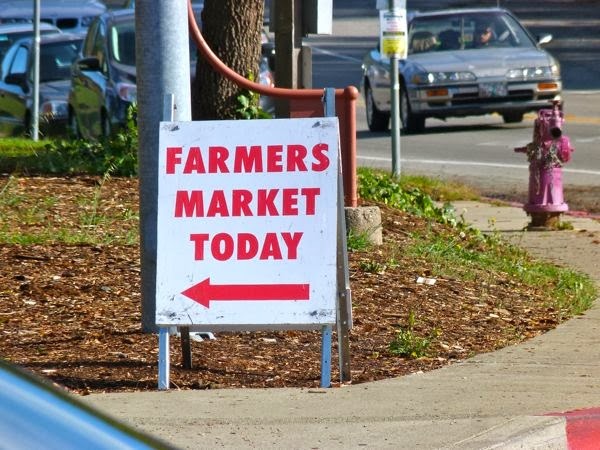 It was worth the drive. 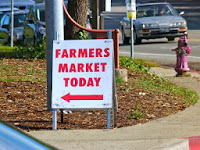 I enjoyed meeting the Barlovento rep. and other vendors at the Farmers Market -- and tasting delicious foodstuffs. 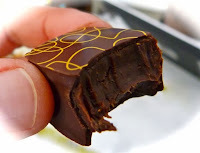 The Meyer Lemon dark chocolate truffle, decorated with thin, lemon yellow squiggles, was filled with a very creamy ganache infused with authentic tasting Meyer lemon zest. The Meyer lemon has a sunnier, sweeter flavor than other varieties; and it pairs well with chocolate. Today was Day #5 of Chocolate and Lemon Theme Week. And Meyer lemons have been well represented thus far.